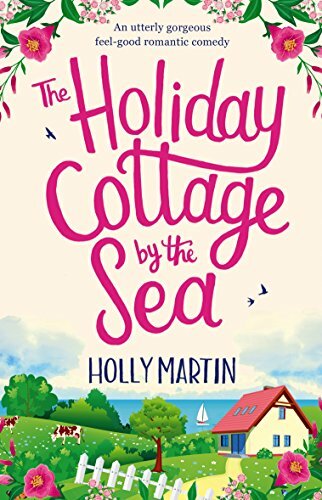 Utterly enchanted by this incredibly romantic story, set in a picturesque location, full of characters with really interesting jobs..... it can only have been written by one of the queens of rom coms - Holly Martin! I devoured this book and despite not being that keen on fruit, even I wanted to taste the heartberries that were being harvested by the end of the book. The banter between Aidan and Tori is hilarious and although you sort of know what the ending will be, I never mind when I am taken on such an enjoyable journey to reach that stage. Although what you wouldn't predict is the level of meddling Aidan's aunt Agatha enjoys! Agatha is utterly hilarious, and she gives Tori all manner of supplies for her first date with Aidan, that you wouldn't expect anyone to just happen to have in their handbag, let alone hand over in a pub to a relative stranger. I was laughing my head off at that scene, and then it got even better! Agatha also a hand in the henna that Tori has on her back, but even I couldn't believe what the design was. Again revealed in a classic scene that is incredibly amusing. I loved the names of the places in this book, Sandcastle Bay, Blossom Cottage, The Cherry on Top cafe, all which evoke a certain feel to them just from their names alone. So incredibly creative. 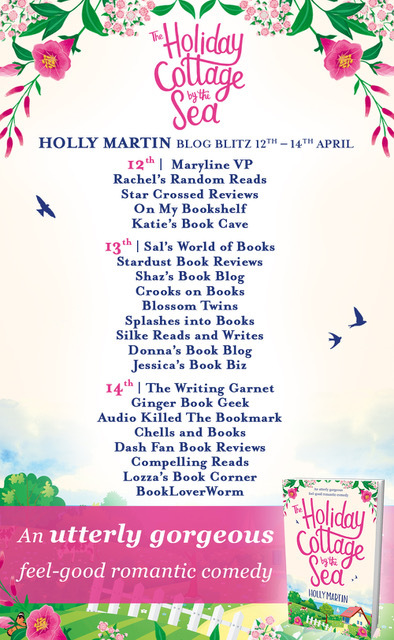 I also loved Tori's two best friends and I am predicting each of their stories may get told in future books this year from Holly Martin. Oh and I haven't even mentioned the animals in this book, Beauty, Beast and Dobby which are nothing like their namesakes. Dobby is the first we are introduced to, and let's just say he is not typical of his species and is a great little character in his own right. Beast and his girlfriend Beauty make a lovely couple, and produce a mixture of funny moments and awww moments. From the first page this book captured my heart, and I read it in one sitting, completely absorbed by Holly Martin's excellent writing style and story telling. Once again I am astounded by all the small touches that make you really believe in the couple at the heart of the story. I would without a doubt highly recommend The Holiday Cottage by the Sea. Please do check out all these other great bloggers who will have their own thoughts to share on the book.